I’ve mentioned before how many magical meetings I’ve made in Arugam Bay, tucked away in the remote and lush Eastern Province of Sri Lanka, and this story is no different: on Sunday the 24th August, 2014, the day after I arrived in the Bay for the first time, I met a young couple, he from South Africa, she from Greece, both living in India. 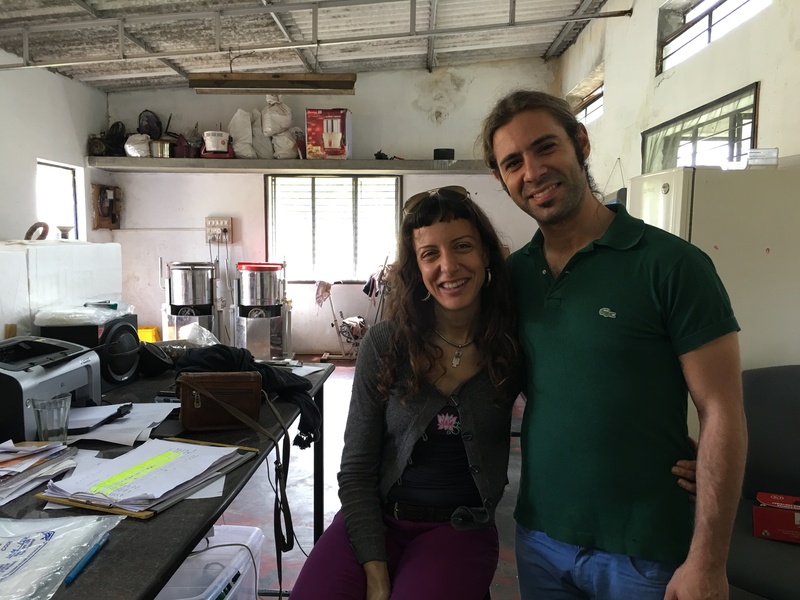 They had just started India’s first artisan single-origin raw bean-to-bar chocolate business. Skip to December 2015, and I finally made it to India. In fact they were the original inspiration for the trip: since hearing about their business I made a resolution I’d visit them. An unusual draw to India, I know. After showing me several of the cooler hangouts of the yoga quarter of Mysore and building anticipation, we finally made it to the chocolate factory on Sunday 6th December. As we’d been talking about this moment since that first meeting in A Bay in August the previous year, my excitement to see their operation was at fever pitch. But the delay had allowed just enough time for a new friend and fellow chocolate enthusiast, Evan, to join the party. A clever thing, time. “You don’t think of Indian chocolate,” and with this statement David Belo begins the (at the moment of writing) unofficial tour of the Earth Loaf chocolate workshop in Mysore (a tour which if you take, a chocolate which if you taste, means you will ALWAYS be thinking of Indian chocolate). “Smell the beans. The nose is like tequila.” The couple have a heightened lucidity for the notes they are capturing in each bar of chocolate. Pastry chef and artisan baker David has also had a life in cocktail mixing, cutting his teeth in some of the busiest London cocktail bars and restaurants, including LAB. Business partner Angelika had a 14-year career mixing fine drinks, a career which culminated in leading London’s renowned Milk and Honey team. The beans grown today for Earth Loaf, and only for Earth Loaf, were introduced in 1965 and are a variety developed for higher pest resistance and yield, compared to the indigenous variety, (although they are hoping to harvest some indigenous beans in future – no one else is currently doing this). The beans are grown and harvested only a four to five hour drive from the Earth Loaf workshop in Mysore, making one of the freshest chocolate bars conceivable. 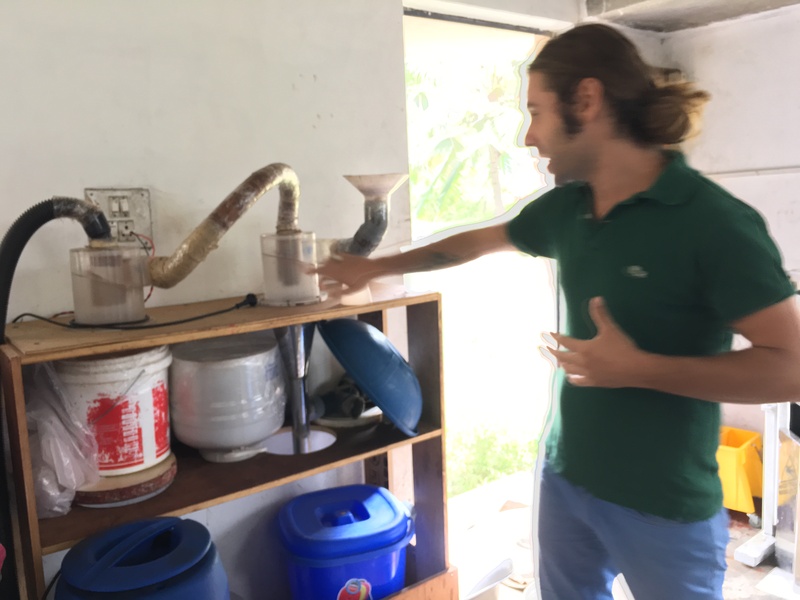 Once the beans arrive at the workshop, one of a team of three chocolate artisans will use their practiced craft to make the final product – from bean to bar under one roof in about the space of a week. The first step in the process is winnowing – separating the skin from the nib and husk. The nibs are heavier and volley down the shoot. The lighter husks are taken up by the vortex and separated. The machine’s work is checked by hand. The nibs are then combined with Palmyra palm sugar: organic and low GI, sugar from the Palmyra palm is a healthier alternative to cane sugar. The Palmyra palm resembles a black mangosteen and comes from the same sap as is used to ferment the famous toddy of India and Sri Lanka (the stuff I was being escorted to go and drink in large quantities in Komari at exactly this time last year – the Facebook reminders keep popping up! Thank you, team Lanka!). “It’s all about grinding,” confirms David. We arrive at a critical part of the process, and one which is still being studied by scientists to work out what magic exactly happens at this stage… ‘conching’ was the term first used to describe this stage due to the historic shape of the machine that did the grinding and refining: like a shell. There’s a myth that a guy in Switzerland whose name you may know, sometime in the late 1800s, left a mixing machine containing chocolate on overnight by mistake. Initially horrified at the waste of resources, the chocolatier was soon delighted with the smooth and delicious result: he’d invented the chocolate bar! As the quality of the chocolate is often largely associated with the method of conching, not many chocolatiers will talk in detail about what they do. Suffice it to say that at Earth Loaf there was no obfuscation, “The nibs and sugar are now put into the grinder: there is no roasting beforehand, of course, we are totally RAW here. The grinders we use are the same as all of those used here in India for the delicious South Indian staple: the dosa.” Another Indian hallmark! The grinder is left to work for 72 hours. 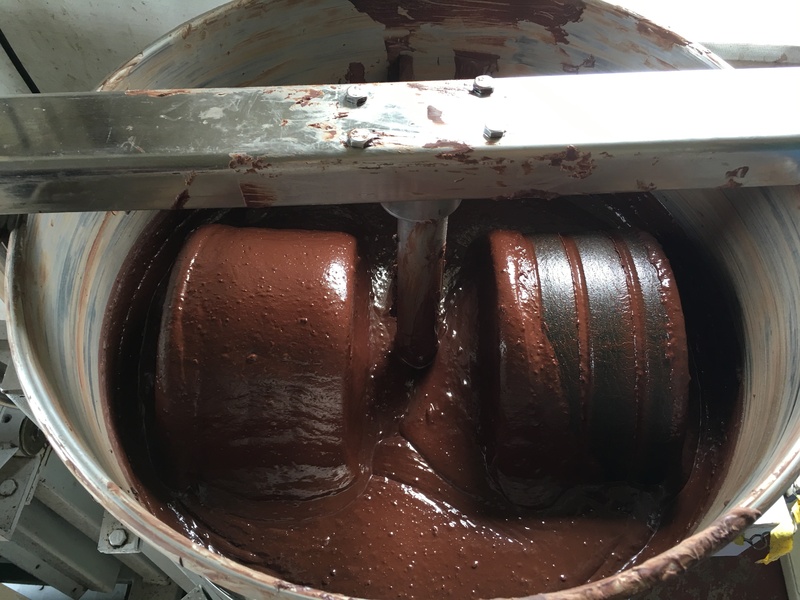 After this three-day process a rich, unctuous, acid-free chocolate pool is produced – there is no need to add anything to make this sauce: the bean is already 55% fat and 45% fibre. Most off-the-shelf raw chocolate I’ve tasted has a disconcertingly gritty texture or is too liquid, and often something of an acidity to its flavour. Not Earth Loaf’s. The extensive grinding process guarantees a smooth and acid-free taste, as luxurious as any chocolate you’ll find. There are six types of crystals in chocolate. Without tempering, the chocolate separates into a thing that looks like chia seeds suspended in thick chocolate milk. 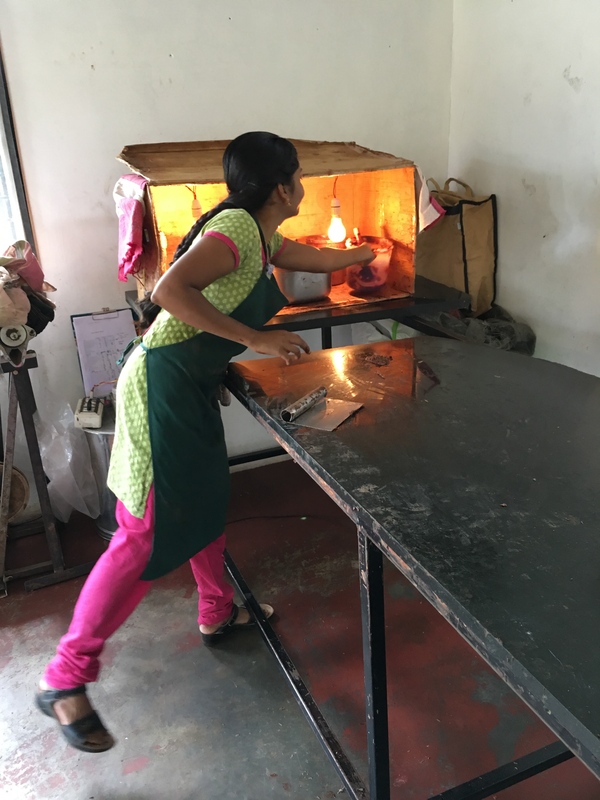 We watched Sankalpa – one of the workshop’s three artisans – as she tempered the carefully-warmed liquid (it can’t be taken over 120 degrees) to make the shiny and silky smooth chocolate that is the hallmark of Earth Loaf. 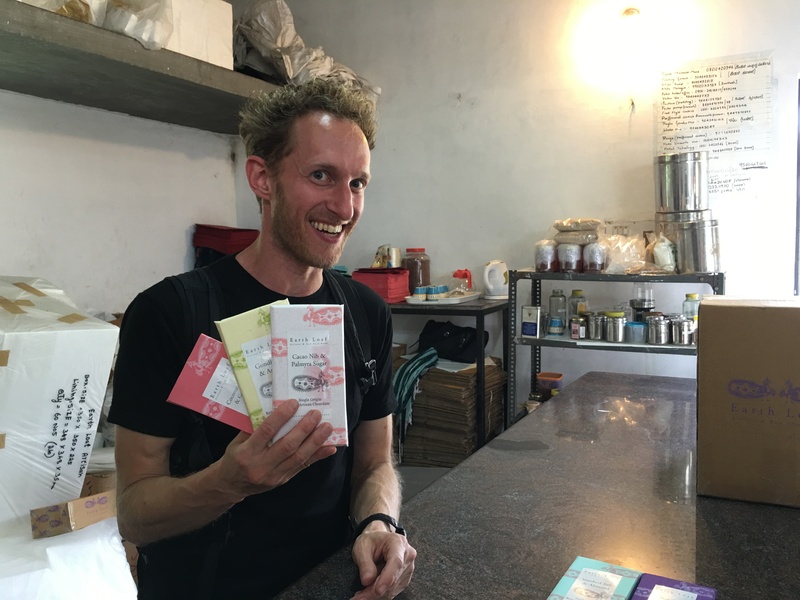 We were tasting pretty constantly during our tour – helping initially to seek and destroy any slightly imperfect bon bons emerging from their moulds: the first we tasted were the Chai Masala bon bons: WOW, before moving onto the individual chocolate bars. Safe to say each was delectable and had a distinct flavour profile. We bought a supply for personal use from the workshop and left with the reassurance we could find the bars in outlets across India. Check out Earth Loaf Artisan and Raw Chocolate for the most incredible Indian chocolate tasting experience. 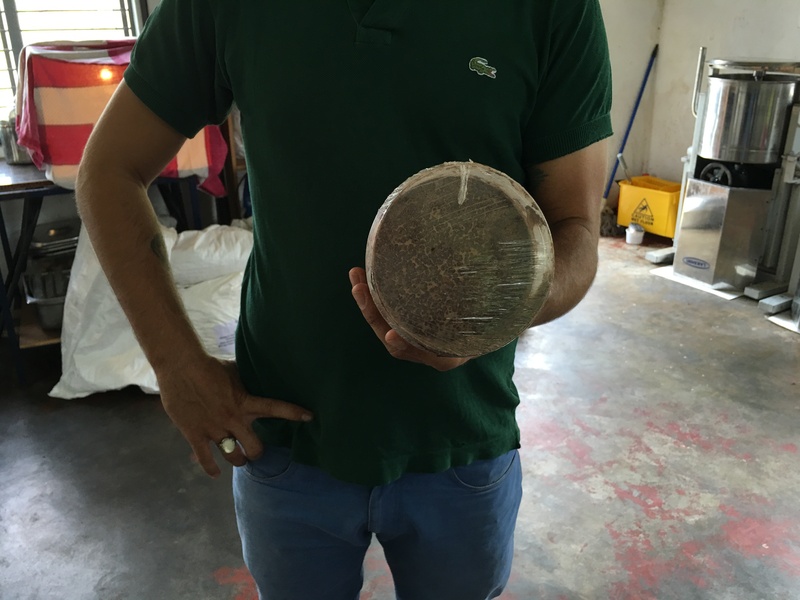 Great piece – I’ve been waiting to read about the ‘chocolate story’. It’s been worth the wait. Fascinating. Oh, and I’m sure I can taste the chocolate…..